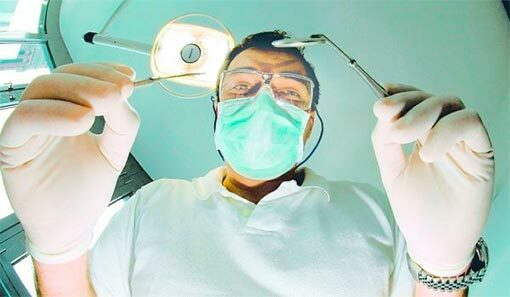 A trip to the dentist inspires anxiety or outright fear in around 20 percent of people. In some cases, the fear is intense enough that a person finds it preferable to endure severe pain, rather than seek dental treatment. Not every dentist is going to be the right fit for every patient. Ask your friends, family or coworkers which dentist they use and why. This can help you narrow the field. Drop by a dentist’s office, such as Babcock Dental Center, and chat with the staff. This can give you a glimpse into the atmosphere of the place and help you decide whether you want to make an appointment. If you call a dentist’s office and explain your concerns to them, many will schedule a preliminary appointment. A preliminary appointment lets you talk one-on-one with the dentist, discuss procedures and even handle the equipment. You can also talk with the dentist about sedation options to help you relax during the procedures. Taking someone to offer moral support can ease your fears. You aren’t facing the procedure alone and there will be someone to commiserate with afterwards. Some dentists will even allow the person you bring to come in and sit with you during a procedure. Many people find the sound of a dentist’s drill tough to handle. Take along an MP3 player and load some new music onto it. The music gives you something else to listen to and, you’ll probably pay more attention to new music. You can also invest in a pair of noise-cancelling earbuds to cut out the noise. Many people fear the dentist because they assume it means pain. Dentists don’t want you to be in pain, but they can’t read your mind. If you do experience pain, get the dentist’s attention by raising a hand. If you let them know you’re pain, they’ll take steps to fix it. Dental phobias can be crippling and leave you coping with unnecessary pain. You can conquer those fears. Shop around for a dentist you like. Take a distraction and a friend with you. Perhaps, most importantly, remember that the dentist doesn’t want you to be in pain.